It makes more sense from an economic standpoint to recycle old plug-in electric vehicle batteries than to reuse them directly for home energy storage, according to a new report from Lux Research. This echoes what Tesla CTO JB Straubel said earlier this year. Tesla has said repeatedly that it plans to recycle almost 100% of the materials in its batteries at its Gigafactory. When asked about simply reusing batteries instead of recycling them, though, JB Straubel indicated that Tesla continuously finds that this doesn’t work out as a cost-competitive approach. As an example, an 11.2 kilowatt-hour (kWh) home energy storage system composed of second-life electric vehicle batteries will cost around $4,600 (according to Lux Research) and a 7 kWh system composed of new batteries will cost around $6,000, but with round-trip efficiency and cycle life factored in, this will make systems composed of new batteries the better option, according to the market research firm. The Obama Administration will make at least one more push to promote electric cars as it enters its final two months. The White House will hold its first-ever "Electric Vehicle Datathon" tomorrow, with the goal of devising ways to use data to increase electric-car adoption. Held in concert with the Department of Energy and four of its national laboratories, the event will bring electric-car stakeholders together with representatives from the "software-development and data-analysis communities," according to the White House. DON'T MISS: Is Trump presidency the real market test for electric cars? 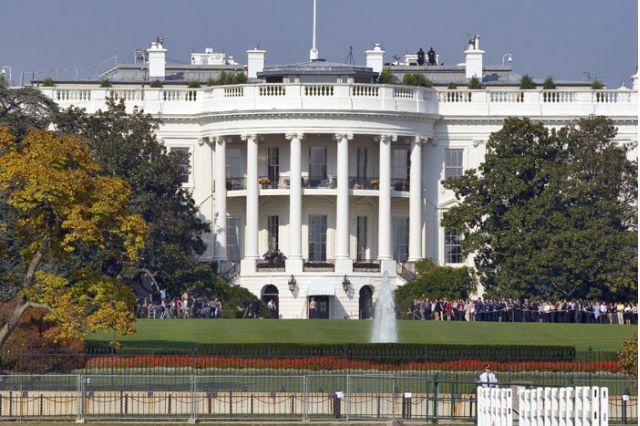 Charging-network operators, automakers, and city and state governments will also be represented at the "datathon," according to a White House blog post. Participants will "review currently available data, identify opportunities for improvement, and discuss new data sets and approaches that can enable EVs going forward," the blog post said. After releasing a few teasers over the past few weeks and using some shady techniques to hype the product in subsequent articles, Henrik Fisker officially unveiled the design of its upcoming new electric car today and gave it a name: EMotion.As you can see from the renders above and below, the vehicle features a low profile, quite aggressive-looking front fascia, and a large curved windshield not unlike the Tesla Model X’s. In a press release for the unveil today (read in full below), Fisker claims that the vehicle will “redefine” the all-electric luxury segment as the “first sedan to boast a 400-mile range”. As previously reported, Fisker plans to achieve this with a new graphene-based hybrid supercapacitor technology that has so far proven hard to scale. The vehicle will include a large curved front windscreen pushed forward, diving into an extremely low bonnet. The rear features an integrated spoiler and aggressive functional diffusor to aid aerodynamics, which will help achieve a 161 mph (260 Km/h)top speed and a 400-mile (640 KM) electric range. The EMotion will use a new battery technology using graphene, with battery packs produced by Fisker Nanotech, a joint venture between Fisker Inc. and Nanotech Energy Inc. The EMotion will be equipped with hardware that will allow fully autonomous driving when approved and released by a soon-to-be-announced partnered supplier. The interior will emphasize ultimate comfort and user interface from both front and rear seats, and all seats will have access to screens and infotainment features. Top 30 electric cars (in terms of sales) across most of Europe, with data aggregated by Jose Pontes for CleanTechnica.com, EVObsession.com, and EV-Sales.blogspot.com. (Reuters) - Tesla Motors Inc (TSLA.O) reported its first quarterly net profit in more than three years on Wednesday, buoyed by nearly $139 million in sales of clean car credits, and Chief Executive Elon Musk said the company could turn a profit again in the fourth quarter. The electric carmaker also signaled it has substantially reduced the costs for launching production of its high volume Model 3 sedan next year. Musk told analysts the company's current plan "does not require any capital raise for the Model 3 at all." The tech billionaire said Tesla could still raise capital to "account for uncertainty ... and de-risk the business," however. The third quarter profit and a leaner capital spending plan could help grease the wheels for Musk if he does seek to tap the markets for cash. Turning a profit, even for one quarter, should help counter skeptics who have questioned his ambitious plans for combining Tesla and solar panel maker SolarCity (SCTY.O) into a company offering roof-to-garage no-carbon energy systems. Musk has made promises to investors before related to the timing of product launches, production and profitability, only to walk them back. Faraday Future, the Los Angeles-based automotive startup backed by Chinese billionaire Jia Yueting, formed a partnership with South Korea’s LG Chem to supply lithium-ion cells for electric vehicles it’s developing but has yet to reveal. Under the agreement the two companies will work together to develop batteries with the highest energy density in the auto industry, they said in a statement. Faraday Future, a would-be competitor to Elon Musk’s Tesla, has said it plans to introduce a line of connected, electric vehicles that offer new types of mobility solutions. So far, it’s only shown the FFZERO1, a high-powered concept electric race car reminiscent of the Batmobile. Still, spy photos indicate the company has more conventional designs in the works. The Polish electric vehicle startup Varsovia Motor Company is now planning for a new long-range electric sedan to go into limited production sometime after 2018, according to recent reports. It should be noted here that initial production will apparently be very limited — only 50 or so units a year. More information can be found on the company’s website. The new Chinese-market-only BMW X1 xDrive25Le iPerformance was unveiled recently at the 2016 Chengdu Motor Show, giving us one of our first looks at the company’s plans for the plug-in compact luxury SUV market. The model is being manufactured by BMW Brilliance according to a press release from BMW Group, and is compliant with all relevant requirements for the Chinese market. The model features a 10.7 kilowatt-hour (kWh) lithium-ion battery pack, reportedly allowing for an all-electric single-charge range of 60 kilometers. Presumably, this figure relates to the relatively lax Chinese testing cycle. The BMW X1 xDrive25Le iPerformance can reportedly be fully recharged using a 220V / 16A charging wall-box in 3.7 hours. ‘Lithium’ battery capacity degradation is one of the main concerns of electric vehicle buyers and potential buyers. Since the resurgence of electric cars is relatively recent, meaningful long-term data on large battery packs is fairly rare. Only Tesla has battery packs with a capacity higher than 30 kWh on the road in any significant number and they only have been in operation for a few years (Roadster aside). But a few Tesla owners have accumulated impressive mileage on their vehicles and the data provides an interesting look into potential battery capacity degradation.The electric vehicle advocate group, Plug-in America, is always independently gathering data on Tesla vehicles, especially through its Model S Survey. The organisation added a few entries in the past months and now has data on close to 500 Tesla vehicles with a total of over 12 million miles driven. Data shows that the Model S’ battery pack generally only loses about 5% of its capacity within the first 50,000 miles and then the degradation significantly slows down with higher mileage. Plug-in America’s data shows several vehicles with over 100,000 miles driven and less than 8% degradation. Battery capacity can be affected by several factors like frequent full capacity charging, periods of time uncharged and fast-charging. The early data is encouraging, but furthermore. Tesla is still working on improving its battery pack and cell technology. The company entered into a research partnership with Jeff Dahn’s battery-research group at Dalhousie University. Dahn specializes in li-ion battery cell longevity, which should be very helpful in achieving high mileage on battery pack with little capacity loss. CEO Elon Musk once referred to a battery pack Tesla was testing in the lab. He said that the company had simulated over 500,000 miles on it and that it was still operating at over 80% of its original capacity. NISSAN and Eaton have joined forces to provide an innovative energy storage solution incorporating renewable energy sources for cloud and IT services hosting company Webaxys’ new, ‘eco-responsible’ data centre based at the Saint-Romain de Colbosc Eco Park in Normandy. 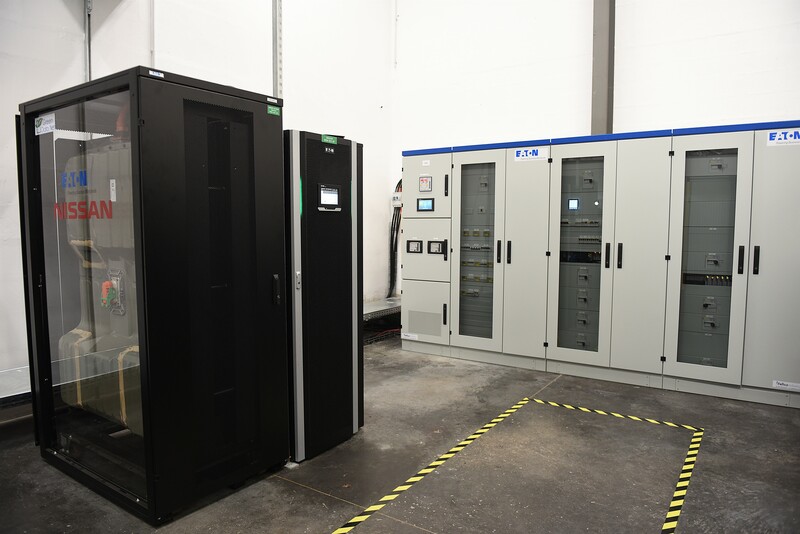 The energy storage solution provides a ‘second-life’ for Nissan electric vehicle batteries and in combination with Eaton’s leading uninterruptible power supply capabilities, provides an industrialised energy control and storage solution for managing data centres. This innovative solution not only enables integration with local renewable sources, but allows companies to draw down from and provide energy back to the grid, ensuring stable and cost efficient energy management systems. Data centres already make up 1.5% to 2% of worldwide electricity consumption, and this rises sharply each year. However, the energy demands of data centres, which cannot tolerate the slightest power outage, makes the application of renewable energy sources particularly difficult. This new Eaton and Nissan energy control and storage system will mean firms like Webaxys can store energy once produced so that it can be used on demand to power the business.Gareth Dunsmore, Director of Electric Vehicles, Nissan Europe said: “This installation at Webaxys marks an important historical moment for data centres in their quest to become energy autonomous in the near future. As the global leader in the electric vehicle market, Nissan’s EV batteries will be given a second life and will be reused within the system. This eco-responsible approach maximises the usage of these batteries before the end of their life, minimising the use of natural resources.